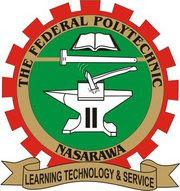 Nasarawa State Polytechnic sales of IJMB and HND admission forms for 2017/2018 academic session has commenced. Members of the public are also informed that the Pre-ND, ND Part-time and Pre-HND admission forms of NASPOLY are also out on sale for the 2017/2018 academic session. NASPOLY Registrar, Labani Joseph Dio in an explanatory statement made available to newsmen urged interested candidates to pay a non- refundable fee of N4,000 for Pre-ND and IJMB forms while N5,000 is for the purchase of HND form. Applications are hereby invited from suitably qualified candidates for admission into the Interim Joint Matriculation Board Examination (IJMBE) and Higher National Diploma (HND) courses available at Nasarawa State Polytechnic (NASPOLY) for 2017/2018 academic session. Candidates are to pay the specified amount into the Polytechnic UNITY BANK account Number 0014957785 and present evidence of payment at the Revenue Unit of the Polytechnic and obtain receipt which will be taken to Academic Department of the Registry to collect the Application forms. All completed forms are to be returned to the Academic Office on or before Thursday, 31 August, 2017.